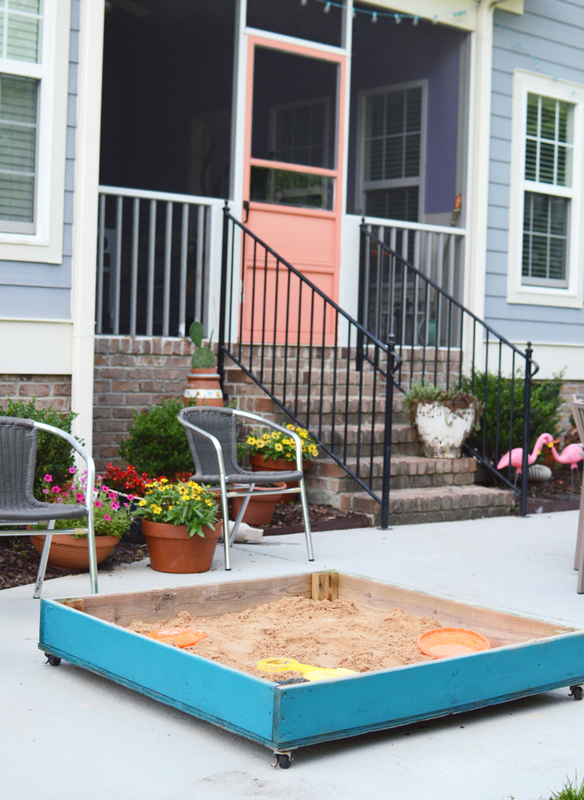 Design Addict Mom: Zion's Sandbox on Wheels Gets a Makeover. 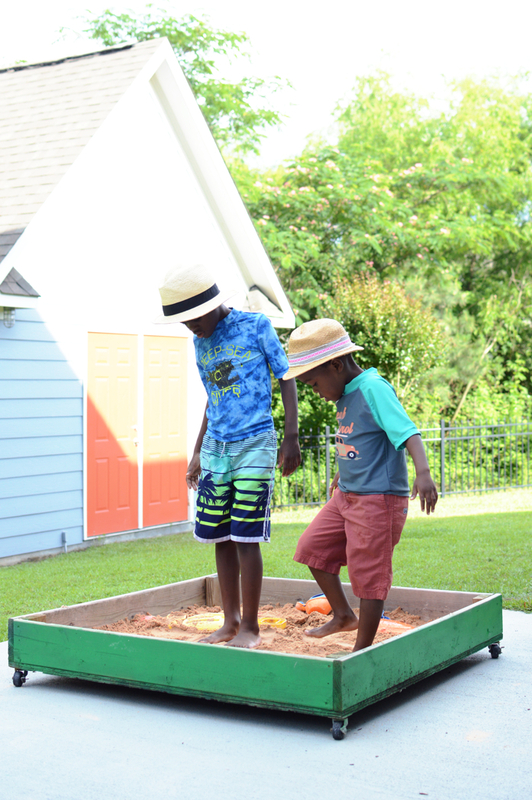 Zion's Sandbox on Wheels Gets a Makeover. I am surprised Zion's sandbox went unpainted for so long, you know since I PAINT EVERYTHING! I actually painted this about a month ago, but because of all the rain, I am just now getting a chance to show you. Since I paint so much, I always have lots of left over paint around. 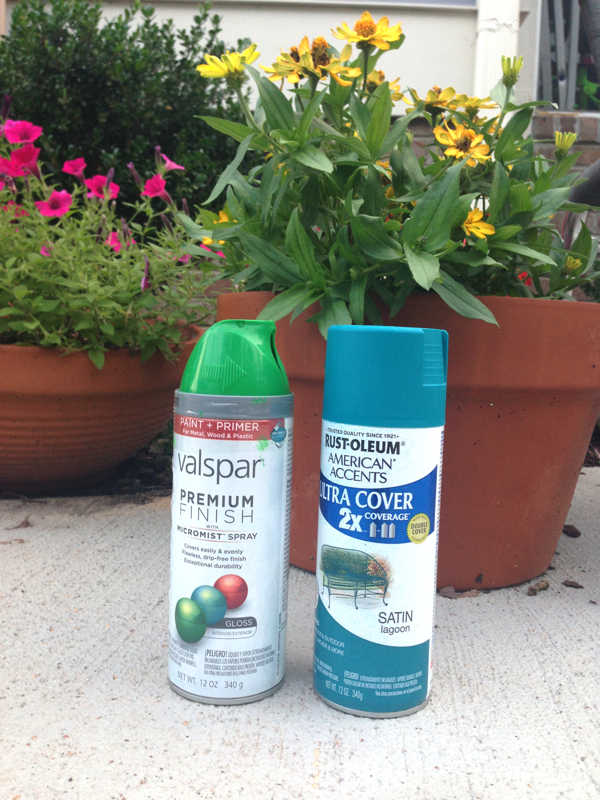 For this project, I chose these two; Rust-oleum Lagoon and Valspar Luscious Green. Here is the green side.